For the past 10 years, I have woven more than 1,000 handicraft items and sold them. On an average, the price of each of piece is about ₹300,” says Maadi from Karooru village located in the midst of Western Ghats. These utility items are made out of a forest vine called kool balli (Ichnocarpus frutescens). Earlier this vine had several applications. However, in recent times, it has been replaced by modern alternatives. “Hence, kool balli, a woody vine is found abundantly in the forests,” says Maadi. Forest vines are considered to be one of the best sources of raw materials for handicraft production. Maadi is an expert in weaving various articles such as baskets, mattings, hats, panelling cordage, lamp shades and plates. “I have provided training to other people from neighbouring villages; some of them have taken it up with enthusiasm. Anyone can learn this art with a bit of skill, patience and commitment,” says Maadi. “Shantu Gowda, Rama Gowda and I planted nearly 100 plants of black creepers almost eight years ago. It has to be planted during the period of Mrigashira (onset of the monsoon in the Western Ghats, normally during the month of June). We wanted to see the growth of the creeper as well as its use in the production of utility items. The creepers that I planted along the side of the creek are coming up very well. They have multiplied in numbers and in fact, I have made three baskets this year, using the same creeper that I planted,” says Maadi. Rs 400. This includes harvesting the creeper, processing and cleaning it and weaving into various items. resource-poor communities are exclusively involved in the business. We could easily market them in the mega cities, provided they meet the demand on a regular basis,” says Aruna Rangachar Pohl from India Foundation for Humanistic Development, Bengaluru. Women have to be formed into groups, should start collectively to make it as a commercial venture. However, at this stage they are not up to that stage, some hand-holding seems to be essential. 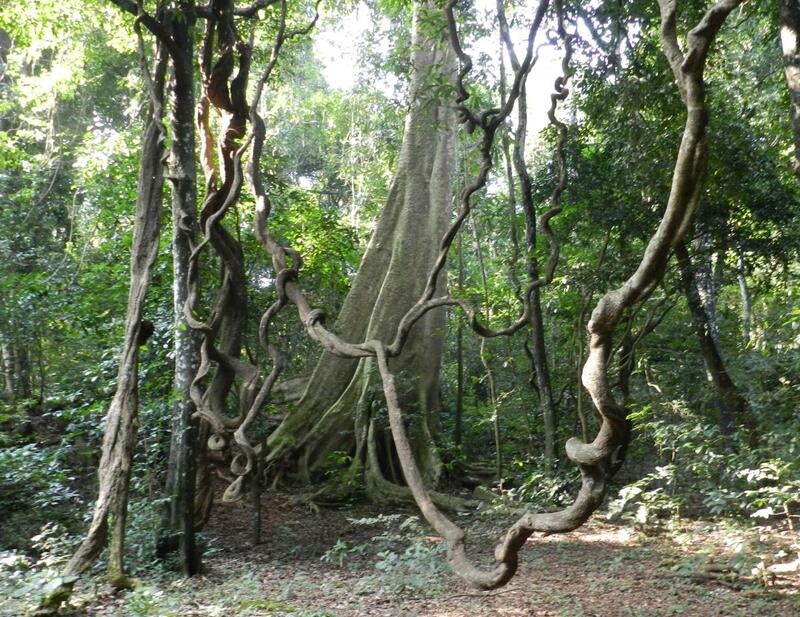 Forest vines and lianas were the focus of intense study by early ecologists, such as Charles Darwin, who wrote a book on the natural history of climbing plants. Recent studies have demonstrated the increasingly important role of lianas in forest regeneration, species diversity, particularly in the tropical forests. In addition, they contribute considerably to ecosystem-level processes, such as transpiration and carbon sequestration. 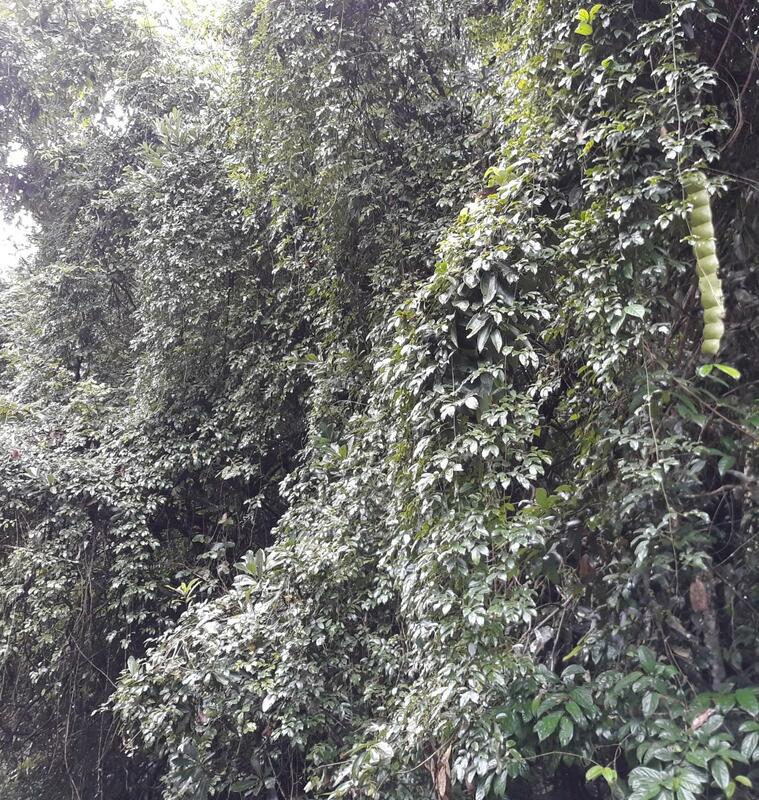 Some of the forest vines and lianas found in the Western Ghats are: bacchalu balli (field bindweed), kool balli, sworle balli, bare balli, huttige balli, kallu balli, hutna oni balli, jalu balli, kasana balli, kouri balli, mane balli, akki balli, ganape balli, shatavari, Sugandhi balli (Indian sarsaparilla), gulagunji (Indian liquorice), Eeshwari balli, agniballi (balloon vine), akasha garuda (Indian bryonia) and amrutha balli. Rattan, a liana, is well known for its use in furniture, handicrafts and ropes. Rattan also produces large, edible fruits — a favourite of the primates. Box bean liana is a huge liana; seeds are edible and were in the old days used to polish the floor and mud ovens. The bark was used as soap. In recent days, the bark of this liana is being used as a major ingredient for making shampoo and soaps. Other liana and forest vines are excellent sources of materials for low-cost housing, furniture, cattle feed, fencing, food and beverages, clothing, medicine and other products. Despite the prospects of using it as a raw material for handcrafted items, forest vines are among our the lesser studied non-timber forest products. There is a need to develop germination or propagation technologies and establish plantations of forest vines; develop or improve processing technologies on preservation, seasoning, finishing and improvement of products made from forest vines and to assess the market for forest vines. What is essential are promoting sustainable management, developing nurseries, improving harvesting technologies and providing recommendations to the handicrafts and furniture industries for improvement in the supply chain. Moreover, physical and mechanical properties of economically important woody vines and appropriate preservation and treatment of these vines and their products have to be studied. With the help of the technologies that will be developed, the furniture and handicrafts industries can be efficient and effective in producing raw materials and marketing their products made of forest vines. Scientists have predicted that because of climate change the grassland would disappear and make animal husbandry more expensive and difficult. Under such circumstances, resource augmentation of those forest vines that could be used as fodder should be considered. By utilising forest vines into various products, farmers and forest-dwelling communities could generate additional income. As of now, the products are sold in the cities like Bengaluru through some of the local contacts that these women have. However, they do not have any direct contacts or market linkages. Lack of exposure and limited contacts are a few barriers which also affect the pricing of these products.